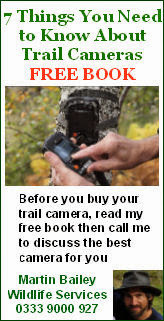 There have been a number of close focus experiments with trail cameras recently carried out by users of these cameras. Both have achieved good results applying external close up lenses of various diopters. 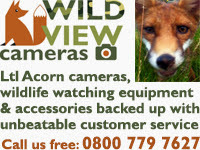 commercial kit as an add on to the Bushnell cameras. While effective this method does however involve hanging bits and pieces on the outside of the camera and to my mind this is impractical in many field environments. I particularly want to use the Acorn cameras for small mammals and in such applications the camera can often be in a vulnerable situation close to the ground where animals such as badgers and pine marten will almost always show too close an interest. Another issue with using an externally mounted lense is fogging and rain falling on the lens. I decided that the only practical answer would be to adjust the lens inside the camera if this proved to be possible. 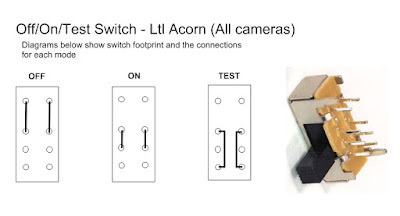 I had already asked Acorn if they could supply the camera set up for closer focus and they said they could so I assumed the lens assembly would be adjustable. Upon investigation I found that the lens is a single element in a plastic mounting which is located directly over the image sensor. It has a screw thread which can be adjusted to change the position of the element relative to the sensor. During manufacture the lens is adjusted and the threads are locked into position using something similar to plumbers tape. With gentle persuasion this will unlock to allow repositioning of the lens element but with enough friction remaining between the threads to prevent the lens self adjusting during use. Depth of Field is a problem when adjusting a simple single element lens for close focus but I hoped that I could get a workable range below a metre and close enough to fill a good part of the image with mouse/vole sized creatures. Bench test results using a 5210A are shown left in figures 2 (10cm) to 8 (70cm) and proved a perfectly acceptable result through 20 to 60 cm. My assistants for the first field trial were small birds and a badger. 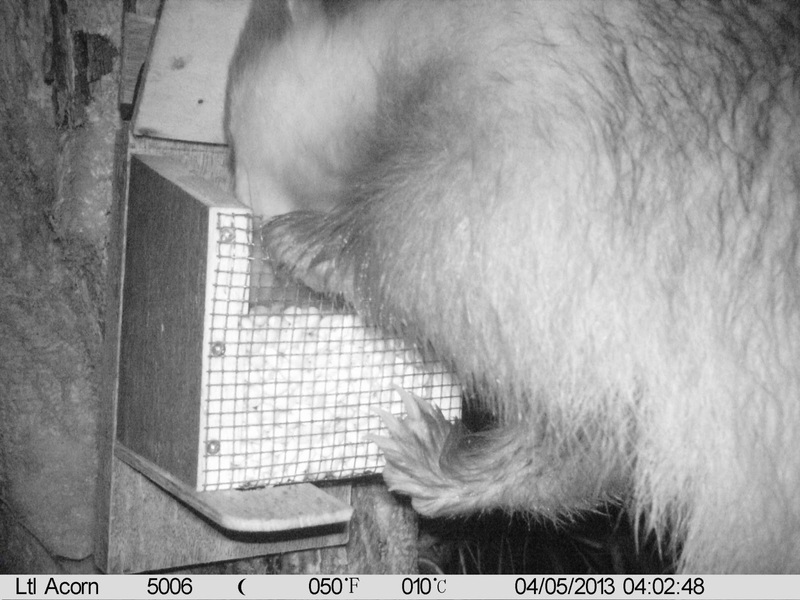 The distance from the camera lens to the wire mesh on the feeder is 45cm. 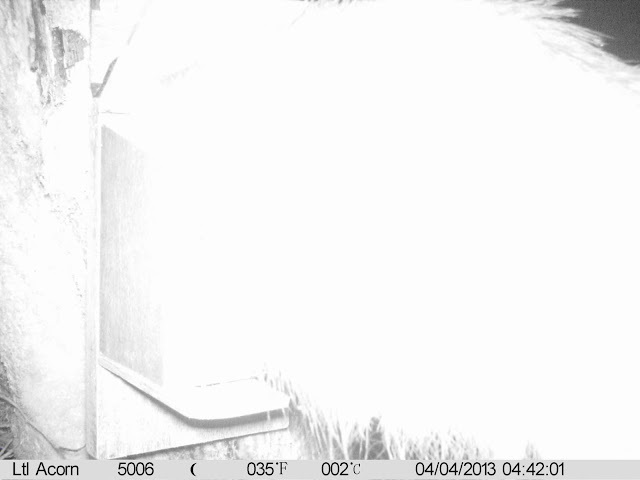 Close focus at night results in over exposed IR images as shown in figure 9. The perfect solution for reducing the level of IR lighting at distances of around a metre or less is a single thickness of PVC adhesive backed camo tape which produces the result shown in figure 10. In the next day or two I will try and post results using a 6210MC and I will also illustrate how to carry out the modification. 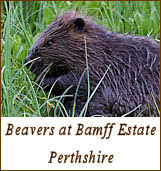 Click on any image to view a slideshow.